Talking household gadgets, ovens and smart refrigerators seem to get all the hype at CES — I mean, did you see LG’s Alexa-equipped fridge? It makes sense, given these appliances are the foundation on which a smart kitchen is built, but that doesn’t mean they’re the only gadgets in your home that could use a 21st-century makeover. Enter the Oblend, a mixer that can make more than just a margarita. The robust countertop device is the handiwork of Seattle-based Altopa, and is capable of blending essential oils, tinctures, drinks, lotions, and a host of other botanical extracts for use in a variety of health and wellness applications. It was engineered to meet medical device standards, and as such, it benefits from a high level of precision and results in a more consistent product than if you were to blend the ingredients on your own. In fact, consistency is the very thing Altopa CEO and founder Matt Wilson was looking to achieve when he began concocting the idea of the Oblend in 2016. The inspiration for the device came out of an experience he had with his border collie, who was suffering from frequent seizures as a result of a brain tumor. 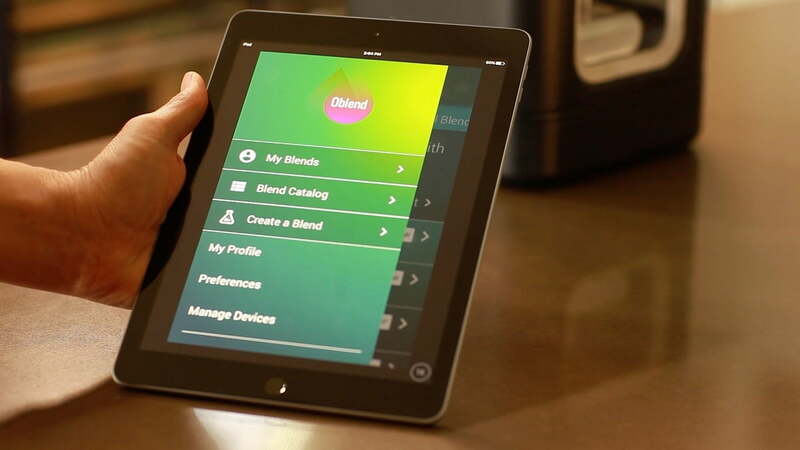 The result was the Oblend, a device built with customization in mind. Housed within the device’s modern, matte-black exterior is space for up to two dozen cartridges, each of which represents a different ingredient or blend of various extracts (rosemary, lemongrass, THC, etc.). Once set up, you can blend these ingredients with the help of an accompanying mobile app, allowing you to fine-tune the strength of each ingredient, as well as the aroma and overall flavor profile. Afterward, you can dispense your blend into a vapor cartridge, a lotion for topical application, or into a culinary oil for making edibles and other delectables. The best part of it all? You can browse a host of curated blends — each of which is tailored toward specific ailments — or save your newly minted blend in the app, giving you a quick means for re-creating your favorite amalgam later. Sadly, this kind of convenience doesn’t come cheap, as the Oblend will retail for a cool $949 when it lands this summer. Early adopters can nab the device for half the price during the presale window — just head to the Oblend website and throw your name on the waiting list for more info.